Verygoodrecipes.com run a recipe challenge each month and for March the theme is St. Patrick, and all things “green”. As I am Irish, and living in Ireland, I think I know a thing or two about that! The monthly recipe challenge is a bit of fun, with a nice prize on offer too, and it’s a great way of meeting bloggers from all over the world and sharing recipes. It is open to all, and not just those who have a blog. You can find all the details on how to enter here. 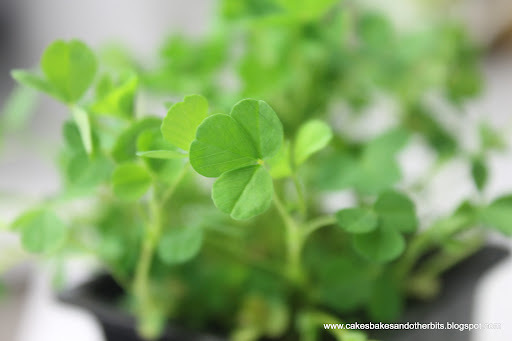 St. Patrick’s Day is on 17th March, and is one of the few “national” holidays which is celebrated around the world. The Irish are a far-reaching people, and folks of Irish descent are to be found in most countries. We are everywhere! Decades ago here in Ireland, it was much more of a Religious Holiday, with attendance at Mass being the focal point of the day. After all, St. Patrick did bring Christianity to our shores. Nowadays, it is a day off work and school, attending your town or village Parade, and in a lot of cases, party time! Jokes aside, famous landmarks across the world will be “glowing green” for the day and evening. The Chicago River will be dyed green once again. The Eiffel Tower, The Empire State Building, Niagara Falls, The London Eye, Burj Al Arab in Dubai, Table Mountain in South Africa, the Sky Tower in Auckland, and the TV tower in Berlin’s Alexanderplatz, will all be bathed in an Emerald hue this year. For the recipe challenge, each Judge must post a recipe too, but it will not be included as an entry in the competition. My recipe is one of those which was borne out of a rummage in the fridge one day, looking for the makings of something for lunch. It is quick, tasty, and filling too. No cooking involved, just good ingredients put together. 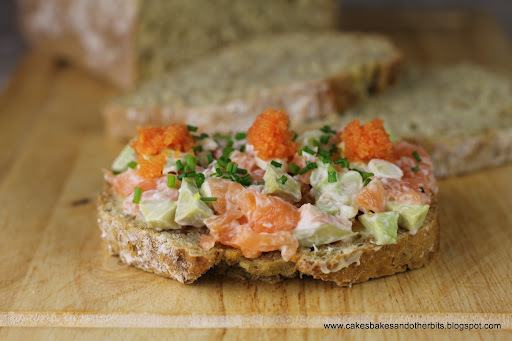 *Smoked Irish Salmon means that the fish is of Irish origin, whereas Irish Smoked Salmon just means it was just smoked in Ireland – Not the same at all!! All you do is cut the spring onion in to small slices and place in a bowl. Scoop out the avocado from it’s skin, and chop it up. 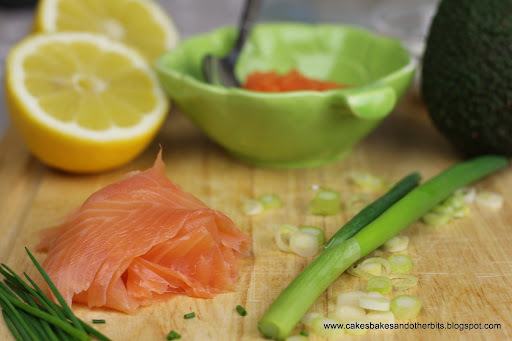 Cut the smoked salmon into equally small pieces, and add to the onion and avocado. Add some lemon juice, and just enough Mayonnaise to bring the mixture together. Give it a taste, and add some salt if you think it needs it. 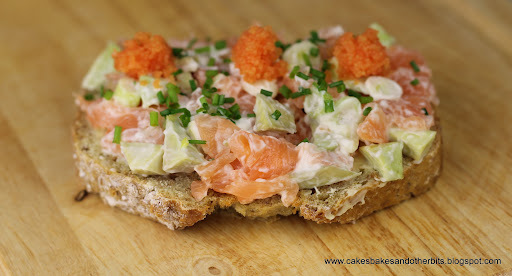 Place the mixture on to the slices of brown bread, and finish with some snipped chives and/or the Herring Roe. So, what are you waiting for, get your entry in, you never know, it might be you! I'm definitely up to try this out C. As it happens I've a family event to bring a dish along to & I've already decided not to do a sweet dish for a change! Looking forward to it. Oh alright so…. I'll take up the challenge too! Should it involve bacon???? Of course, Margaret! As long as there is something green in there, it qualifies 🙂 Good Luck with your entry. I've no doubt you will come up with something. Also, entries can be in any language, and not just English. Good Luck, if you do enter. I didn't know you were a member here, so am I! I entered the last comp as well. I shall have to enter now if I get the time, since you are a judge – but remember , even though I know you love me best, please judge the other entries on their own merits. I'm sure they will be very good as well *ahem*!